It’s Friday and the end of Spring Break. 😦 It was a good one though. 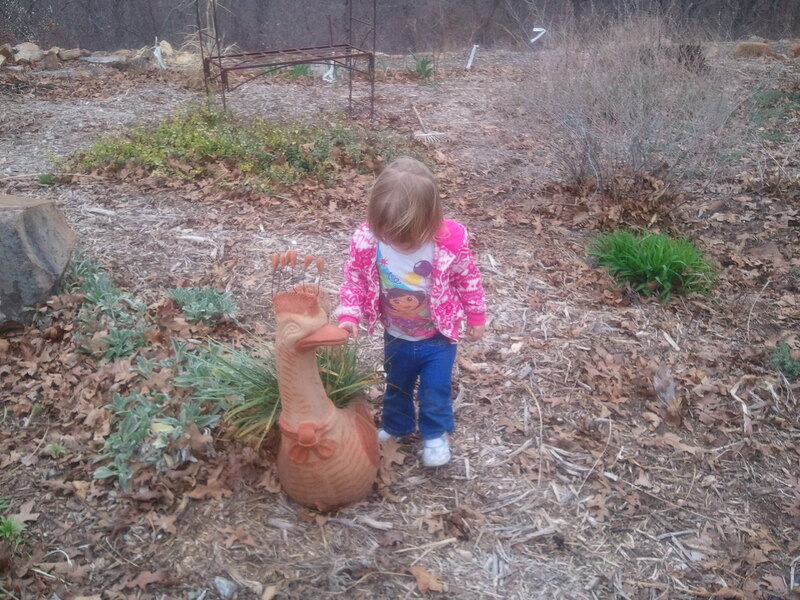 My daughter, granddaughter, and I went to my dad’s for a few days earlier this week. He lives in Oklahoma, just north of Tulsa, which is where I’m from. We left Sunday after lunch hoping that Bunny would take a nap but of course she didn’t. I think she was excited about taking a road trip. We stopped to eat at Braum’s in Blackwell. If you want some of the best ice cream, this is the place. We don’t have one in our town so we always stop at a Braum’s for dinner and ice cream. Went to the zoo on Monday. The weather was perfect. It was overcast but warm and just a bit windy. 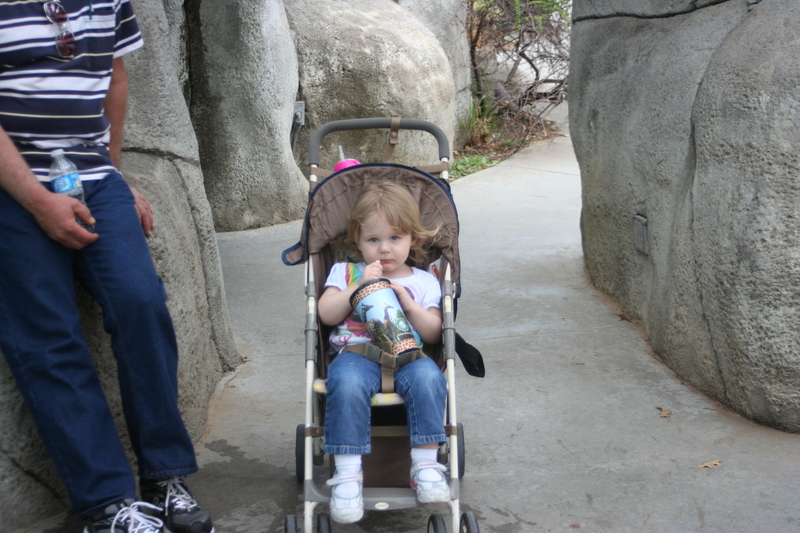 I love the zoo and I think Bunny does too. 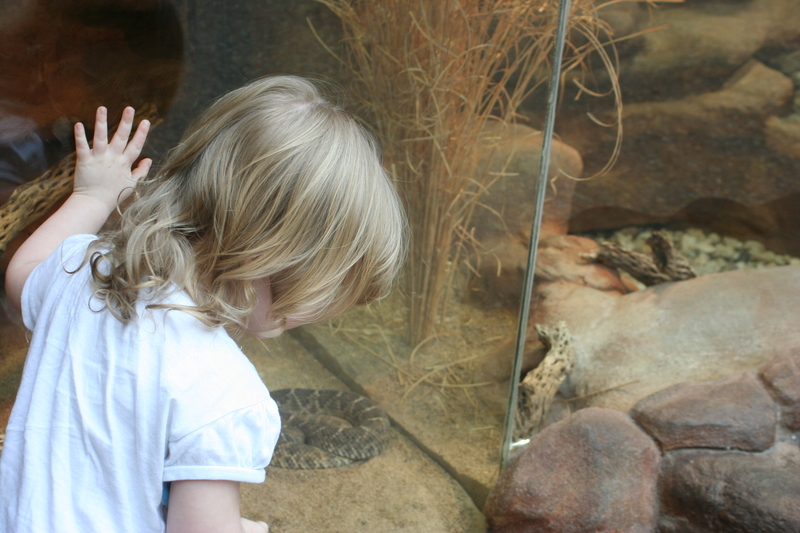 She loves looking at the animals and really seemed interested in the snakes. I’ll tell you, I wouldn’t mind being a kid again. After all you get to sit and ride through the zoo! 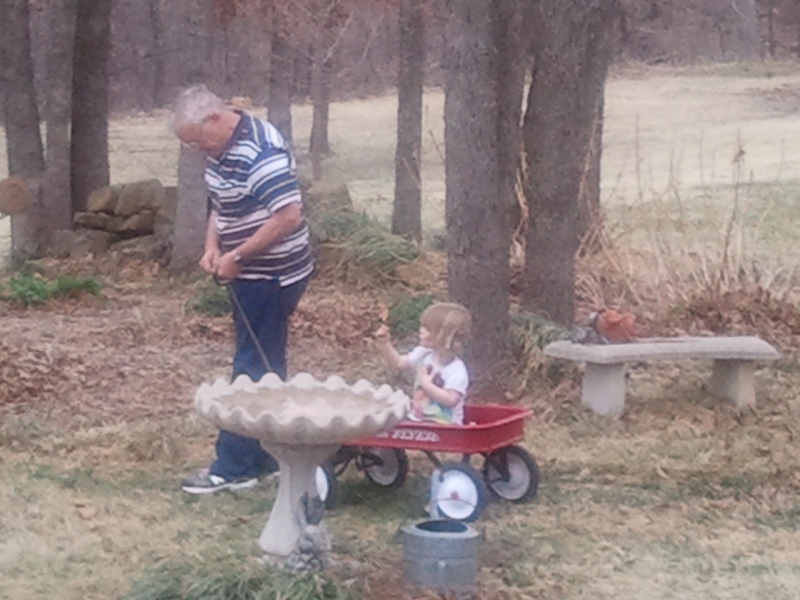 and ride around in a wagon hunting dandelions with great-grandpa. We also did a little shopping in Tulsa because, hey, they have stores and malls! Bunny made out like a bandit. We ate at Olive Garden, where she had spaghetti. 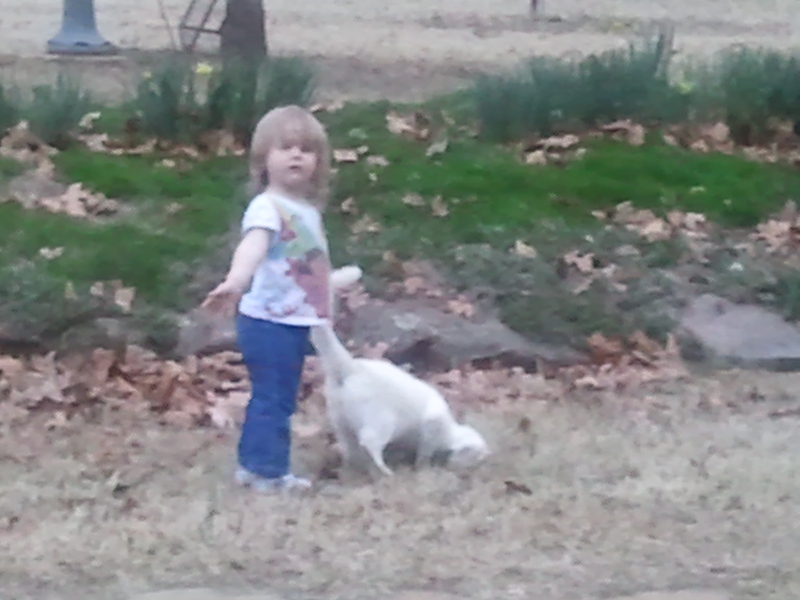 A 2 yr. old + spaghetti = a big mess! So I found a cute little dress on sale for $10 for her to wear. We also got her Easter dress, a Minnie Mouse cup, and who knows what else while we were shopping. 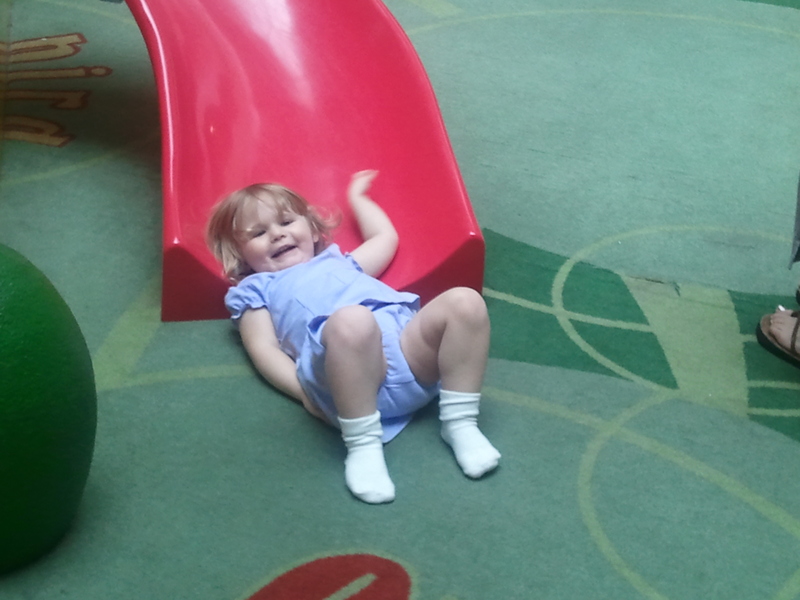 We did take a little break at the play area in the mall. Note the cute spaghetti free dress! 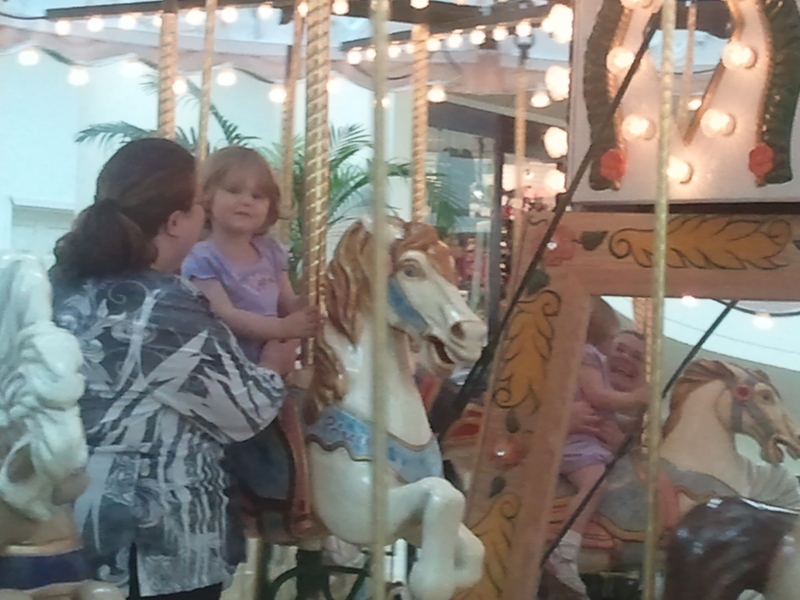 And she went on her first carousel ride! But alas, it was time to return home to Kansas. We picked a great time to go there and come back as it got chilly there for the rest of the week. It was more than chilly here at home but I didn’t mind too much. So just the weekend to go and then back to work. It was a fun and relaxing week.